In skillet, brown ground beef with onion. Place all ingredients in the crock pot - DO NOT DRAIN THE CANS. Stir together and cook on low 4 hours or high 2 hours. Serve with sour cream, shredded cheese, and/or tortilla strips for garnish. **You could certainly substitute some shredded chicken for the beef or leave the meat out completely if you have a vegetarian to feed. :) You could also add some extra chiles or jalapenos if you like it really spicy. That's it!! So simple, so yummy!!! Enjoy! Lisa....I think this is the recipe I lost. So glad we talked today! I just read your FTSF and then saw this in the LinkWithin. 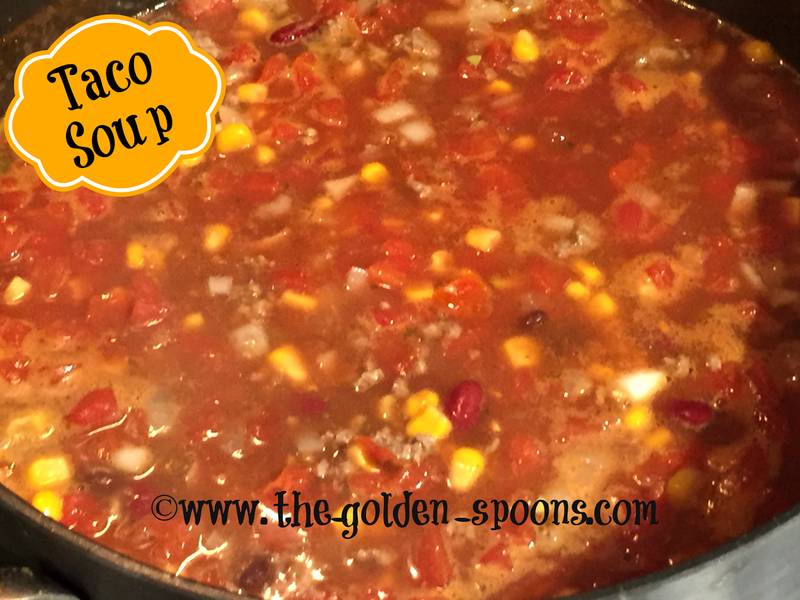 Now I wish I had a magic wand to cool it down outside and I'd make this Taco soup. I'm pinning. It will definitely be a cool front treat. I just saw the comment below mine, I too "lost" this recipe. I forgot all about it until now.